i. 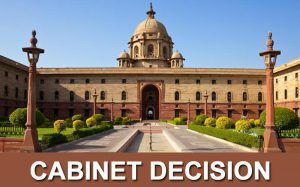 The Union Cabinet took several key decisions including setting up of a high-level committee (HLC) to implement Clause 6 of Assam Accord to hold discussions with all stakeholders on the quantum of reservation of seats in Assam Legislative Assembly and local bodies for Assamese people among other decisions. i. The Reserve Bank of India (RBI) set up an expert committee under former Sebi chairman U.K. Sinha to suggest long-term solutions for the economic and financial sustainability of the MSME sector. ii. RBI has announced the panel a day after it allowed a one-time restructuring of existing debt up to INR 25 crore for the micro, small and medium enterprises (MSMEs) which have defaulted on payment but the loans given to them have continued to be classified as standard assets. i. 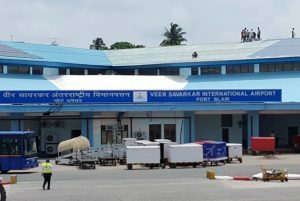 Veer Savarkar International Airport in Port Blair has been declared as an authorized Immigration Check post for entry into/exit from India with valid travel documents for all classes of passengers. Port Blair is the capital of Andaman and Nicobar. i. 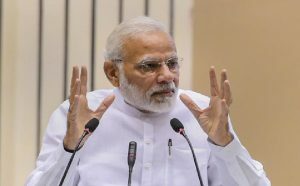 Prime Minister Narendra Modi has inaugurated the 106th Indian Science Congress (ISC-2019) at Jalandhar, Punjab. The ISC is an annual congregation that witnesses deliberations by top scientific minds of the country. ii. The theme for which is ‘Future: India-Science and Technology’. This will be his 5th address to Indian Science Congress after assuming office as Prime Minister. i. The West Bengal government announced two welfare initiatives for farmers. Both initiatives, which are part of the ‘Krishi Krishak Bondhu’ scheme, will come into effect from 1st January 2019.
ii The first of the two initiatives will provide Rs 2 lakh to the family of a deceased farmer. 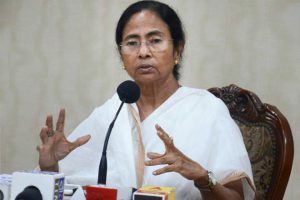 West Bengal CM: Mamata Banerjee, Governor: Keshari Nath Tripathi. i. Days before Kumbh Mela, the Union Home Ministry has approved the Uttar Pradesh government’s proposal to rename Allahabad as Prayagraj. In October2018, the Yogi Adityanath-led government had proposed the change in name of Allahabad to Prayagraj. ii. 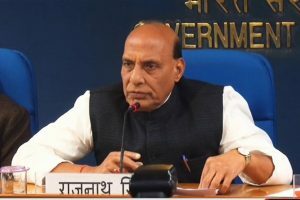 A No Objection Certificate (NOC) from the MHA will now ensure that names of other institutes in the district, including railway station, High Court and university, are also changed. Agartala Airport renamed as Maharaja Bir Bikram Manikya Kishore Airport. British-era railway station Robertsgang renamed as Sonbhadra. Iconic Mughalsarai junction renamed after Deen Dayal Upadhyay. Chhatrapati Shivaji International Airport in Mumbai renamed as Chhatrapati Shivaji ‘Maharaj’ International Airport. i. 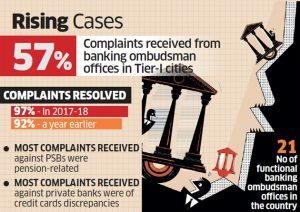 The number of complaints registered at banking ombudsman offices have seen a 25% increase in the fiscal year 2018, with the majority of these complaints coming from urban centres owing to increased awareness and poor internal redressal mechanisms of banks. 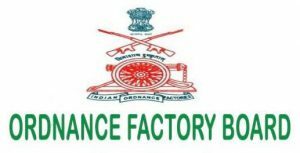 i. Saurabh Kumar has been appointed as the Director General of Ordnance Factories (DGOF) and chairman of the Ordnance Factory Board (OFB). Kumar, a 1982-batch Indian Ordnance Factory Service officer, is an M-Tech in mechanical engineering from the Indian Institute of Technology (IIT), Kanpur. Ordnance Factory Board Headquarters: Kolkata. i. 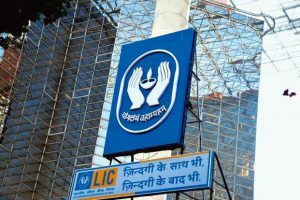 The government has appointed Hemant Bhargava, Managing Director, Life Insurance Corporation of India, as the Acting Chairman. ii. The move comes after VK Sharma retired from the top job at LIC on December 31. While traditionally the senior-most MD is appointed the chairman, Bhargava is due to retire in July 2019. Life Insurance in its modern form came to India from England in the year 1818. Oriental Life Insurance Company started by Europeans in Calcutta was the first life insurance company on Indian Soil. i. 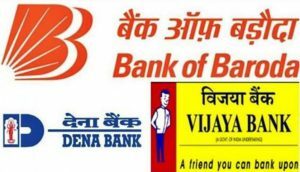 The cabinet has approved the merger of Vijaya Bank & Dena Bank with Bank of Baroda.After this merger, Bank of Baroda will become the third biggest public sector bank. The merger will be effective from April 1. This is also the first ever three-way merger in Indian banking. i. 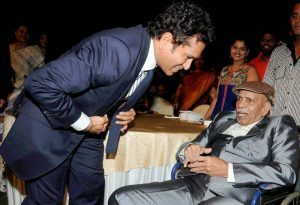 Veteran cricket coach Ramakant Achrekar, who trained Bharat Ratna Sachin Tendulkarand Vinod Kambli, among others, passed away following a heart attack. i. 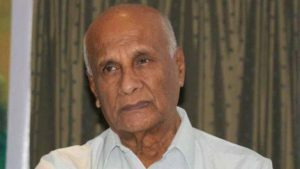 Veteran Kannada actor CH Lokanath passed away after suffering cardiac arrest. He was 91. Lokanath was in the Kannada film industry for nearly six decades and was affectionately addressed as ‘Uncle Lokanath’ by his fans. Next articleHow should one prepare for TNPSC Group-1 Exam 2019?